Ohio's Best Waffles & Where To Find Them - Ohio. Find It Here. Thick, doughy, soft yet crispy…waffles have become an international breakfast favorite. Whether you prefer a plain crispy waffle, a waffle smothered with scrumptious toppings or sandwiched with delicious fillings, there is no wrong way to indulge on the tasty delicacy! In celebration of International Waffle Day (March 25th), check out these awesome places to chow down on some of Ohio’s best waffles! Looking for the most authentic Belgian waffles in Ohio? You’ll find them at a Taste of Belgium (numerous locations throughout Cincinnati and one in Columbus). Made from thick dough and Belgian beet sugar, each waffle is individually baked on a specialized cast iron press. The scent of caramelization (from waffles cooking on the iron press) wafts down the street, beckoning you to taste the delightful Belgium treat. 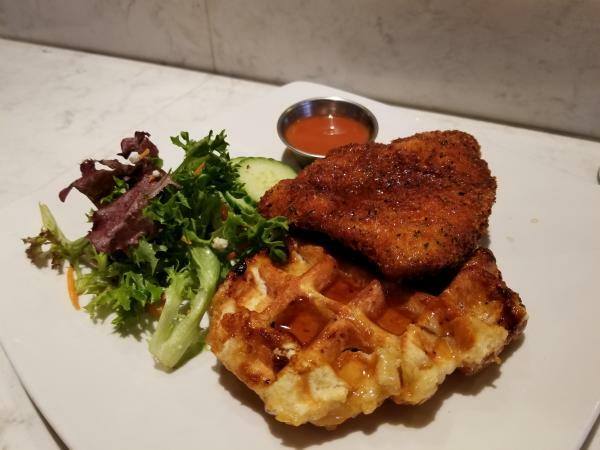 Whether you order plain waffles, waffles smothered with delicious toppings or Taste of Belgium’s twist on the American soul food, chicken and waffles…you’ll savor every single bite! With two locations in central Ohio (Downtown Columbus and Gahanna), Super Chef’s pays homage to comic book Super Heroes. Focusing on vibrant colors, creative presentations and delicious flavors, Super Chef’s just might have the most colorful brunch in central Ohio! 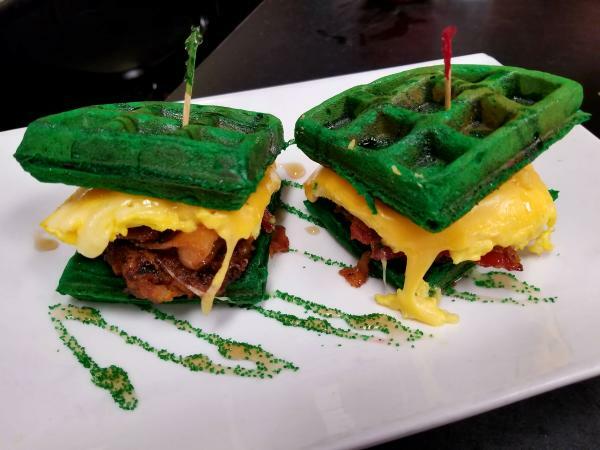 Try the Juggernaut (a red waffle sandwich filled with fried chicken, eggs, cheese and candied bacon), the Hulk (green waffle sandwich filled with eggs, cheese, sausage and candied bacon) or the Elvis Waffle (piled high with peanut butter, candied bacon, bananas and chocolate syrup). Serving up homemade pancakes and waffles since 1963, Uncle John’s Pancake House is a Toledo institution. 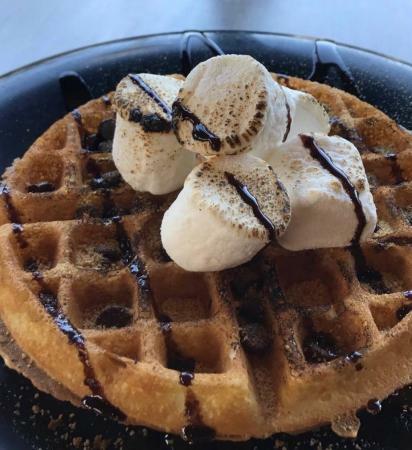 Locals and visitors alike can’t get enough of their light and fluffy waffles piled high with delicious toppings such as banana slices, pecans, cinnamon and hot apple slices or decadent chocolate sauce and Oreo cookie crumbles. Wally Waffle has been serving delicious waffles to the Akron area since 1975. 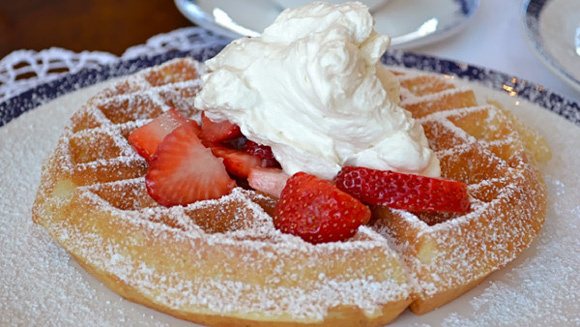 The aroma of cooking waffles greets visitors while freshly-made light and crisp waffles served plain or topped with flavorful ingredients await to be devoured. Pile your waffle with strawberries, blueberries, bananas, glazed apples, shredded coconut, honey butter, peanut butter, chocolate chips and whipped cream…you can create the waffle of your dreams at Wally Waffle. As Cleveland’s beloved urban breakfast shop, Jack Flaps serves culinary breakfast creations. Fluffy and crisp waffles cooked to golden perfection covered with unique toppings; the peanut butter cup waffle topped with spicy peanut butter sauce, shaved chocolate and locally made Chocolate 76 handmade chocolate peanut butter cups, the Cookie Crisp waffle topped with cinnamon milk syrup, shaved chocolate, vanilla cream and Cookie Crisp cereal or one of their unique seasonal waffles. You’ll fall in love with Jack Flap’s delicious waffle creations!